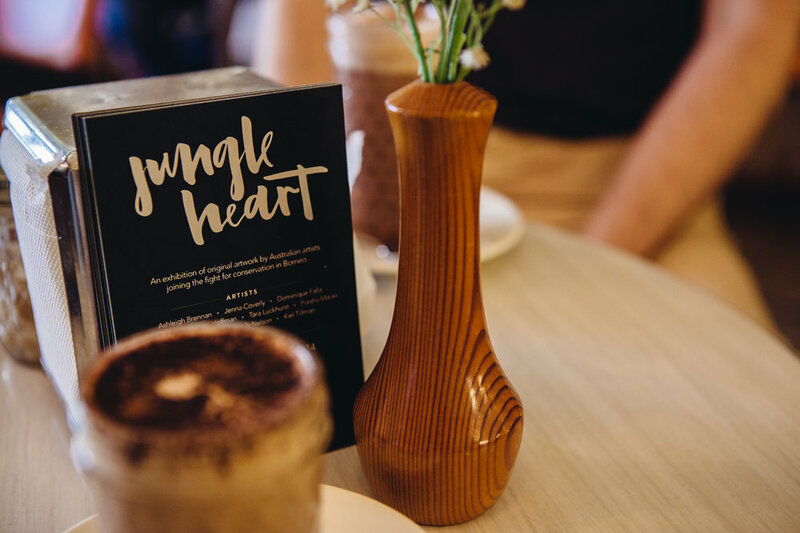 Jungle Heart was an exhibition of original artworks by Australian artists joining the fight for conservation in Borneo. 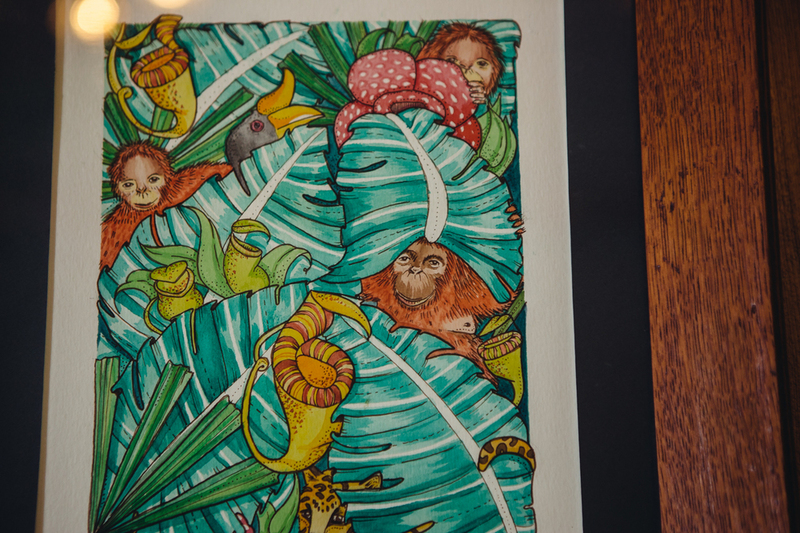 A minimum 15% of each artwork sold went to WWF Australia. This beautiful show was curated, designed & organised by a woman who I hold in very high esteem: Camille Nathania, before her trek for orangutans in Borneo.